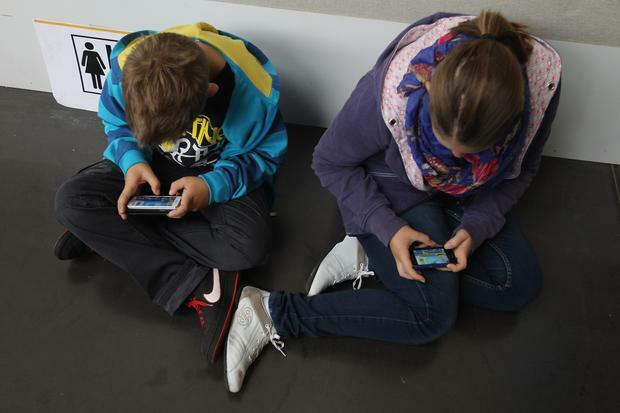 Children struggle to read emotions and are less empathetic than a generation ago because they spend too much time using tablets and smartphones, a leading psychiatrist has warned. Iain McGilchrist said children as young as five were less able to read facial expressions because of too much interaction with technology. He added that he had evidence that more pupils were displaying borderline "autistic" behaviour. Dr McGilchrist, a former Oxford literary scholar who retrained in medicine, said he had heard of increasing numbers of teachers who had to explain to their pupils how to make sense of human faces. However, experts have said children’s lack of ability to read emotions may be down to cultural or language barriers and not just technology. Mr McGilchrist said he’d heard from teachers who said they now have to explain to their pupils how to make sense of the human face more than a few years ago. Dr McGilchrist said he has been contacted by teachers of five to seven year olds who have estimated that roughly a third of their pupils find it difficult to keep attention, read faces. The author of The Master and his Emissary, which explored the functions of the left and right hemispheres of the brain, added that there is evidence youngsters are “less empathic” than four decades ago. He pointed to research done in the US within the last decade that shows a decrease in empathy among college students and at the same time a rise in narcissism. He said “plausible” theories as to why children are less empathic are to do with the disruptive effects of technology in the family unit. Dr McGilchrist said: “Children spend more time engaging with machines and with virtual reality than they used to in the past where they don’t have to face the consequences of real life. In virtual environments they don’t have to interpret the subtle cues of real-life environments like when they are playing with children in the woods. However, others have said the reasons behind an apparent lack of empathy are complex. Dr Nadja Reissland, a psychologist and senior lecturer at Durham University, said saying children are less able to read human emotion was “a big statement”. Parenting: My 15-year-old son wants to fly to the USA - to meet a girl! What should I do if my child blocks me on Facebook?